Sterling Academy offers three years of high school Spanish courses. In addition, middle school students may take two years of Spanish. We offer the following Spanish courses. Each course is 2 semesters. You may also choose to take only one semester. 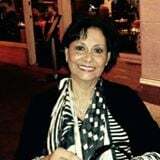 Ligia Alves is a native Spanish speaker with extensive experience teaching in the classroom. She graduated from the City University of New York, Queens College, with a B.A. in Psychology and continued to earn a Master of Arts degree in Education from Fairleigh Dickinson University in New Jersey. She is certified to teach K-12 Spanish in New Jersey and in Florida. Have questions regarding our Spanish courses? You can study Spanish online at Sterling Academy. Most colleges require a student to have had 2 years of a foreign language in high school before being admitted into college, and Spanish is the most popular world language that high school students choose. Our Spanish courses are available to not only full-time Sterling Academy students, but also part-time students who just want to take a Spanish course online. Spanish is spoken by 426 million people around the world. Speaking Spanish opens the doors of communication with Spain, South America, Central America and the Caribbean. There is also a very large population of Spanish-speaking people in the United States. Business partnerships are growing between the two cultures. If our students prepare themselves by becoming bilingual, they will have a great advantage in the workforce in the future. At Sterling Academy we give students the opportunity to learn the language and be able to use it in real life situations. Our program was developed by the well known Middlebury College Language School. They have developed a program that uses language immersion while the courses are aligned with the national standards set by The American Council on the Teaching of Foreign Languages (ACTFL). Our Spanish courses focus on the most important areas of world language study: listening, speaking, reading and writing. We use authentic video, audio, images and texts which allow full participation and practice in the four key areas of study. Our curriculum is also centered on the cultural aspects of the Spanish World. There are many cultural assignments that make the student aware of the differences and similarities between the cultures. If you would like to learn more about studying Spanish online at Sterling Academy, or any of our other foreign language courses (Chinese, French, German, or Latin), or have any other questions about Sterling Academy, fill out the form on the left and our Enrollment Counselor will contact you and answer your questions for you.